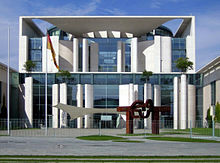 Berlin is the capital of Germany and a city state. See/Leggi: History of Berlin (Storia di Berlino) ...in a memory pillow of 1965 (su un cuscino del 1965). See: Tegel Airport and Schönefeld (SXF), the picture shows the reception building at the airlift of the central airport closed in 2008 Tempelhof THF).